Refugees, Displaced People Surpass 60 Million For First Time, UNHCR Says : The Two-Way At the end of 2015, 65.3 million people had fled conflict and persecution, the refugee agency says. That's one in every 113 people — or 24 people every minute. And very few found places to resettle. 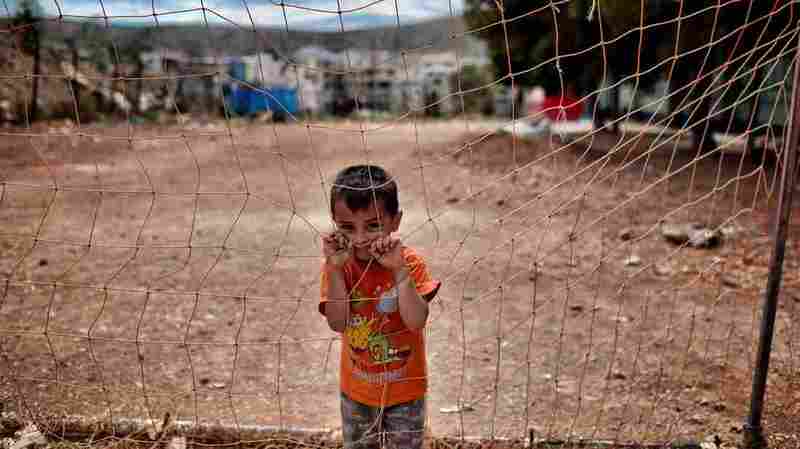 A boy looks on behind a net at the refugee camp of Schisto in Athens, Greece, on June 8. The number of refugees, asylum-seekers and internally displaced people around the world has topped 65 million, the United Nations High Commissioner for Refugees said Monday. As of December 2015, there were 65.3 million displaced people, according to a report from the refugee agency. It's the first time in the organization's history the number has surpassed 60 million — and represents a nearly 10 percent increase over last year's total, of 59.5 million. 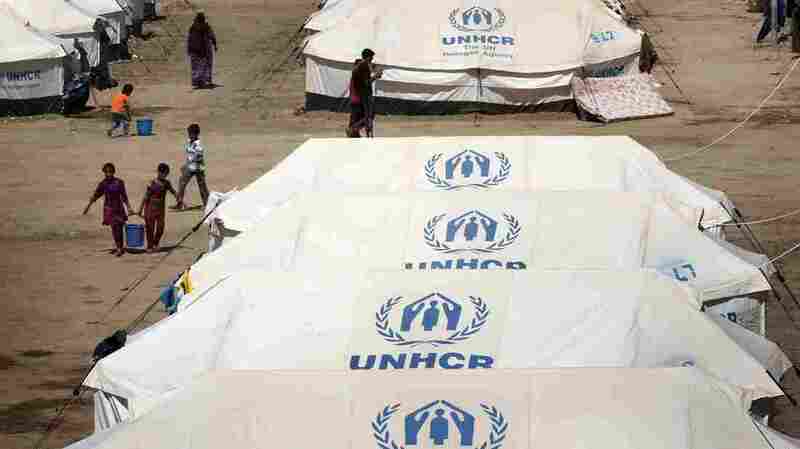 That number represents "immense human suffering," a UNHCR press release says. One in every 113 people on Earth has now been driven from their home by persecution, conflict and violence or human rights violations. Two other ways to wrap your mind around that number: Each minute, 24 people around the world flee their home because of violence or persecution. And if the world's displaced people were their own nation, it would be larger than the United Kingdom. The report tallies the number of refugees under the UNHCR's mandate, as well as those seeking asylum in other countries and internally displaced people (who have been driven from their homes, but remain within their own country's borders). An escalating humanitarian crisis in Yemen, ongoing violence in northern Nigeria and persistent conflict in Colombia have contributed to the rising number of internally displaced people, while the war in Syria drove an increase in refugees. Three countries — Syria, Afghanistan and Somalia — accounted for more than half of the refugees under the U.N.'s mandate. And most of those refugees, 86 percent, are hosted in developing countries. Lebanon hosts 183 refugees for every 1,000 inhabitants, the highest ratio in the world, while Turkey hosts the highest total number of refugees — 2.5 million people. More than half of the world's refugees in 2015 were children, the report finds. A little more than 200,000 refugees were able to return home in 2015. Meanwhile, just 0.66 percent of the world's refugees were approved for resettlement in another country. Displaced Iraqis stand outside their tents at a new camp set up to shelter civilians fleeing violence in the northern city of Mosul, on May 9, in Debaga, in northern Iraq. The level of forced displacement worldwide is "unprecedented since the founding of the UN itself," High Commissioner Filippo Grandi said in a statement. Every year Grandi's agency publishes a report on displacement statistics to mark World Refugee Day. "And each year," Grandi wrote, "UNHCR seeks to find a glimmer of hope ... to show that the world is finding solutions to help heal the trauma refugees are living through on a daily basis. "But this year the hopeful signs are hard to find," he said.